Organist Walt Strony will accompany the screening of "The Phatom of the Opera" with live music. COST: Free — donations accepted gratefully for the Peace Organ Fund. 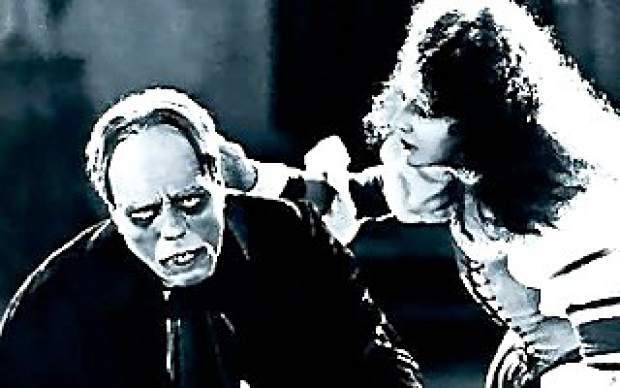 The world’s most popular silent film — still — is “The Phantom of the Opera,” and it’s coming to Grass Valley Sunday in a free screening accompanied by live music. “Phantom” screens for free at 4 p.m. Sunday at Peace Lutheran Church, 828 W. Main St., near downtown Grass Valley. A free reception follows. It’s the film’s first presentation with live music in western Nevada County in memory. Organist Walt Strony will accompany the 1929 edited version of the film, starring the iconic Lon Chaney as the disfigured, love-crazed former magician who haunts the Paris Opera House. In an unusual addition, Nevada County soprano Anne Vaaler will sing three arias during the film’s opera scenes, accompanied by Thomas Greathouse on the piano. They will perform behind the projection screen to give the sense of the song coming from the film, Strony said. Donations will be gratefully accepted for the Peace Organ Fund. Earlier this year, Peace Lutheran Church launched a multi-year campaign to raise money for a combination digital-pipe organ to replace its existing instrument. Strony has played for “Phantom” at silent film festivals across the United States. He is a member of the American Theater Organ Society’s Hall of Fame. Strony promises music “appropriate” to the period, he said. Like many surviving silent films, “Phantom” has no official score or cue sheet dictating the music. Each movie theater’s musicians compiled a score using their own resources. The film’s story depicts a production of Charles Gunoud’s “Faust” – so Strony may play some music from that opera, he said. Late film historian David Shepherd restored the 1929 version that will be shown Oct. 8. “It was his life’s mission to restore silent films,” Strony added. Chaney shot to stardom with his portrayal of Erik, who lives beneath the Paris Opera House, tutors the aspiring singer Christine, played by Mary Philbin, and becomes obsessed with her. The former vaudeville actor earned a reputation as “the man with a thousand faces” for his inventive make-up. To produce Erik’s grotesquely flared nostrils, Chaney inserted fish hooks into his nose, Strony said. “Phantom” was produced by the German-born Carl Laemmle, co-founder of Universal Pictures and a pioneer of American film. Chaney helped direct. Critics panned the 1925 original for its length, Strony said. Laemmle re-released it in 1929, and it shows the benefits of advancing film technology: Technicolor had been invented Strony said. Trina Kleist is youth & outreach coordinator at Peace Lutheran Church and may be reached at tkleistwrites@gmail.com or (530) 575-6132.